I found this recipe in a magazine, the ingredients used for this raita sounded very interesting and my hands were eager to prepare this. Adding peanuts and grinded garlic-chilly paste gives this raita a different taste. Grind the garlic and chilly. Now in a bowl add the paste along with the buttermilk and all the other ingredients . Mix them well. am sure peanuts in them would have enhanced the taste..
wow peanut raita..sounds cool aruna..will have to try this..
Use of garlic in raita is new to me but this recipe sounds easy n yummy. Aruna, this is a very new raita for me. Looks very good. Very innovative use of ingredients.Raita looks wonderful and refreshing. Never tried this one.. Sounds good will try soon.. Very interesting,simple and innovative,sure to try. if we add peanut to any dish the taste must be delicious .very nice. Peanuts in raita sounds tempting..And I love carrot in my raita.So, I am definitely going to try this. i'm sure it'll taste wonderful!!! never tried peanuts in raita. Looks yummy. Never heard or tried peanuts in raita, thanks for sharing Aruna.. 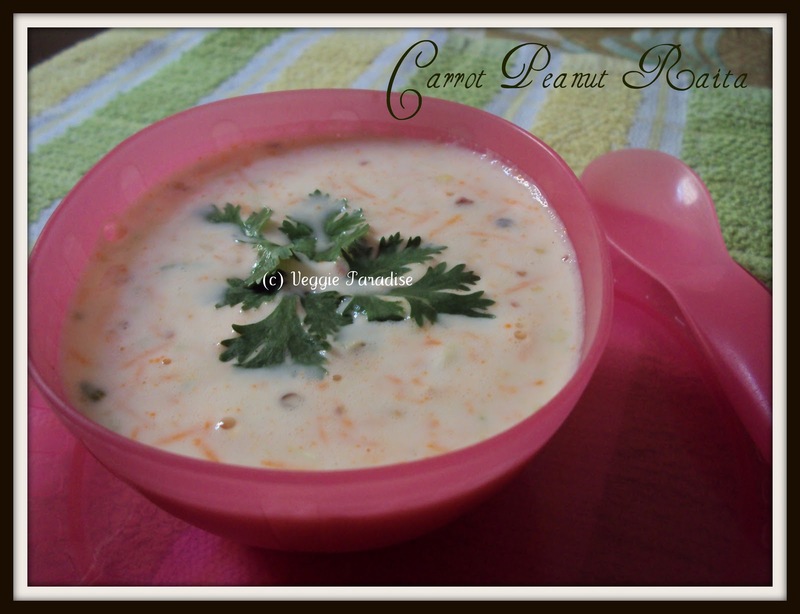 Carrot raita with peanut sounds wonderful and interesting. Nice click. Wow..this looks yummy. Adding peanuts to raitha sounds interesting. Will try this. 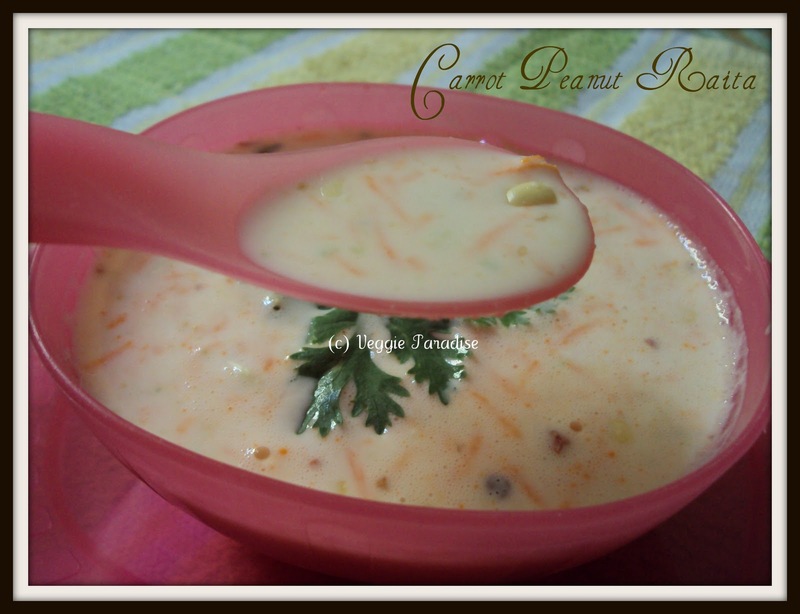 Carrot raita with peanut sounds interesting and looks delicious. Wow.. that sounds interesting, never tried adding garlic and peants! Thanks for sharing it with us Aruna. Sounds really different....my hubby loves peanut...will give it a try. Happy mother's day!!! Thats very nice combo,never tated so far,sounds good! Peanuts in raitha is really interesting!! This is a very interesting raita recipe. Adding peanuts and garlic in raita is new to me. Will definitely try it next time..